Gastric glomus tumour, light micrograph. Gastric glomus tumours are rare mesenchymal tumours (composed of modified smooth muscle cells) of the gastrointestinal tract. Although usually benign malignant behavior can not be excluded. 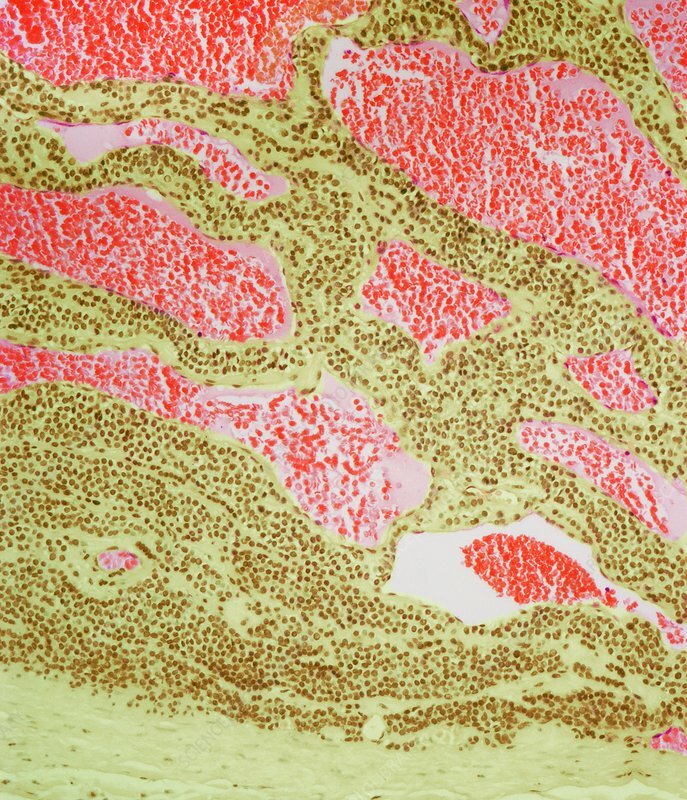 Histopathology shows trabeculea of tumour cells (yellow) around dilated blood vessels. Magnification: x 150 when printed at 10 centimetres across. Human tissue.